It's winter now in the hidden valley, and Maximus Cold has fallen into the valley, completely by mistake. Everyone thinks he's a strange, trumpet-playing monster who has kidnapped our wolf friend Yula! One can only hope that the gang of friends, including the rabbits, Reindeer, the pixie onion-headed ballerina, and Yula's best friend Sara can save the day with some trumpeting of their own. 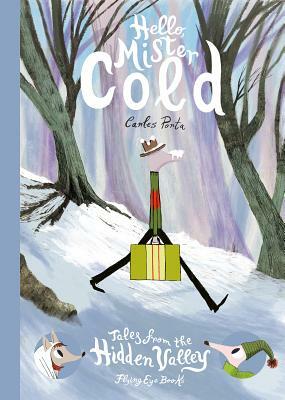 Dive into Carles Porta's elaborate world of enchanting, snowy forests and mysterious music and meet all the charming creatures of the Valley along the way. Carles Porta is an award-winning illustrator, animator and graphic designer from Spain. His work has been featured in many national magazines and comics, and he has illustrated and designed the posters and promotional films for the International Animation Film Festival of Catalonia since 1997.